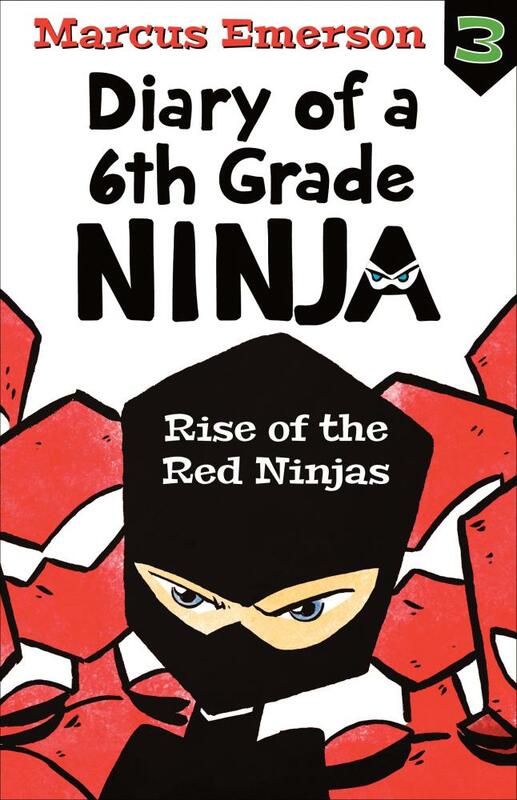 A rival ninja clan – the Red Ninjas – is out to make Chase Cooper’s life impossible in this, the third novel in the Diary of a 6th Grade Ninja series. It all begins when a fast-moving, red-hooded thief steals Chase’s backpack right off his shoulder. In a panic, Chase goes after him, desperate to get back his ninja suit, science project … and that little love note to Faith. The red-hooded thief disappears in what can only be described as a notorious ninja move. By the end of the day, copies of the love note are plastered all over the school and Chase has earned the nickname ‘lover boy’. It’s a social disaster as Chase tries to do some damage control to save his friendship with science partner – and secret crush – Faith. 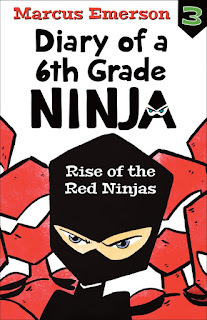 But the two of them have become the laughingstock of the school thanks to a new clan of ninjas, the red ninjas, who are out to humiliate Chase. Faith is mad at him, Zoe is mad at him. His best friend Brayden has been framed for theft … and Chase doesn’t have the courage to help him. It is not necessary to have read the first two books in the series, because Emerson provides a recap at the beginning. However, readers of the first two books will immediately guess that Wyatt is behind all the trouble in this book. Of course it cleverly indicates that this means war, thus setting the climax for the next book in the series.